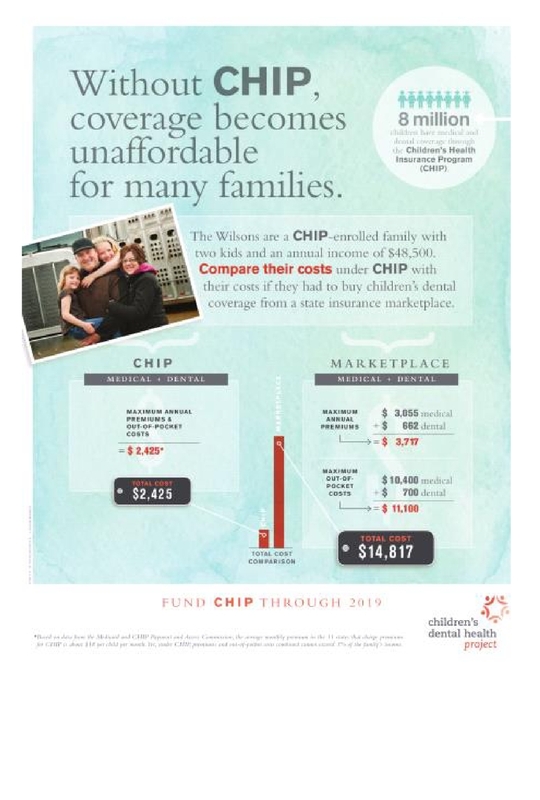 The Children's Dental Health Project created this new infographic to illustrate what makes the Children's Health Insurance Program (CHIP) so affordable for families. It also demonstrates why dental coverage is uniquely vulnerable if Congress doesn't extend CHIP's federal funding soon. Click here for a high-resolution copy of our infographic that you can share or download. More than 8 million children and pregnant women count on CHIP for medical and dental coverage. Help us take a stand for them. Urge Congress to extend CHIP funding through 2019.